Good grief, Charlie Brown! 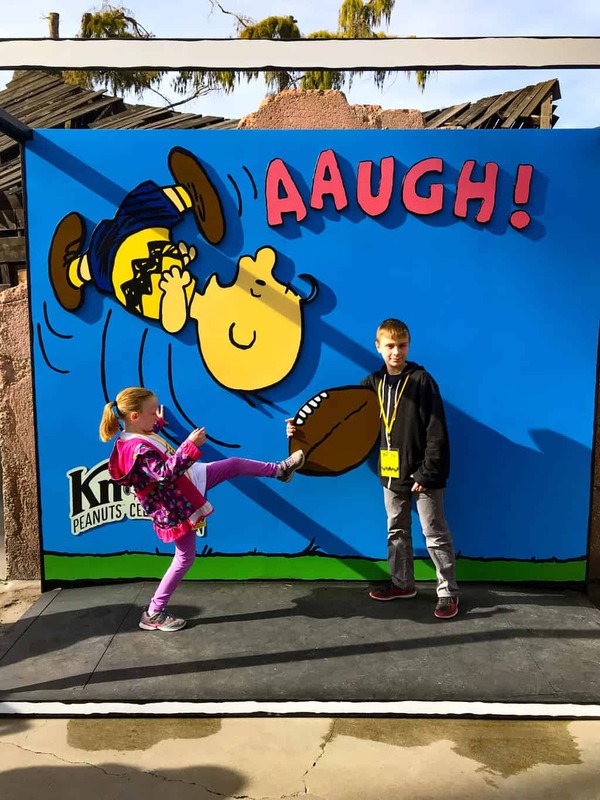 It’s about time the Peanuts Gang had their own celebration at Knott’s Berry Farm. 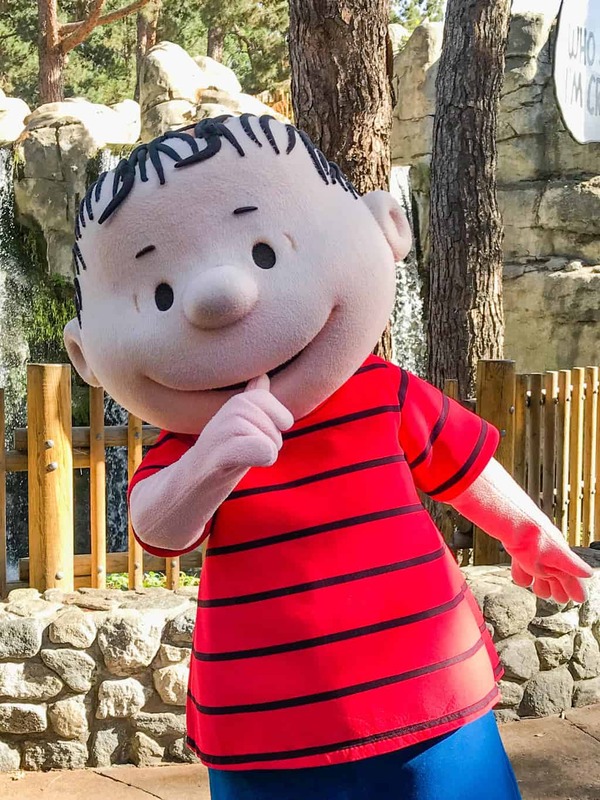 For fans of the Charles Schulz-created characters, the PEANUTS Celebration is returning to Knott’s Berry Farm with two additional weekends of fun planned for 2019. 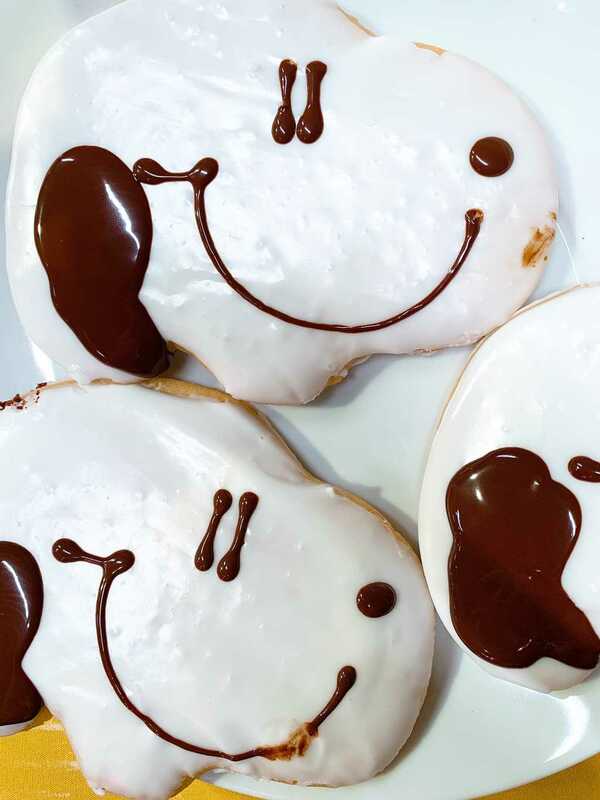 During the weekends-only celebration, guests can enjoy comic style selfies, deliciously themed-treats, new whimsical shows and meet and greet sessions with members of the PEANUTS Gang, including Snoopy! The celebration begins the moment you enter the theme park! 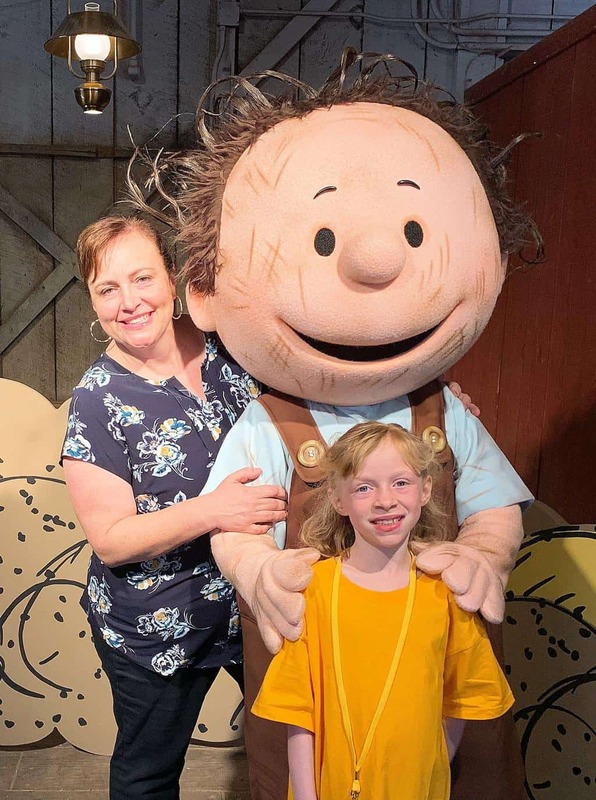 Immediately, you are greeted with 5 different comic strip photo booths, where you can snap that perfect selfie kissing Snoopy, sitting in Woodstock’s basket, stealing Linus’s beloved blanket or kicking Charlie Brown’s football. 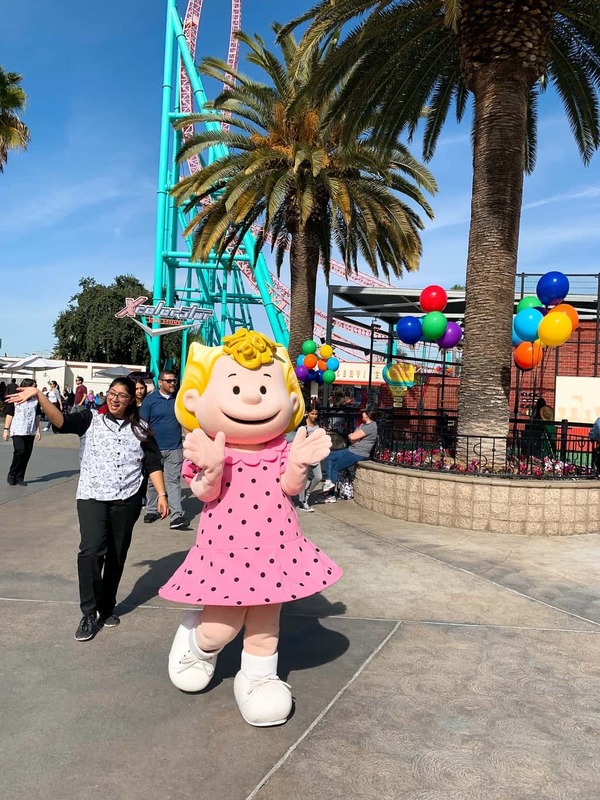 Knott’s Berry Farm has upped their food game for the the 2019 PEANUTS Celebration by delivering special PEANUTS themed treats and sweets. Before, I thought Knott’s Boysenberry Festival was the best food fair in town. 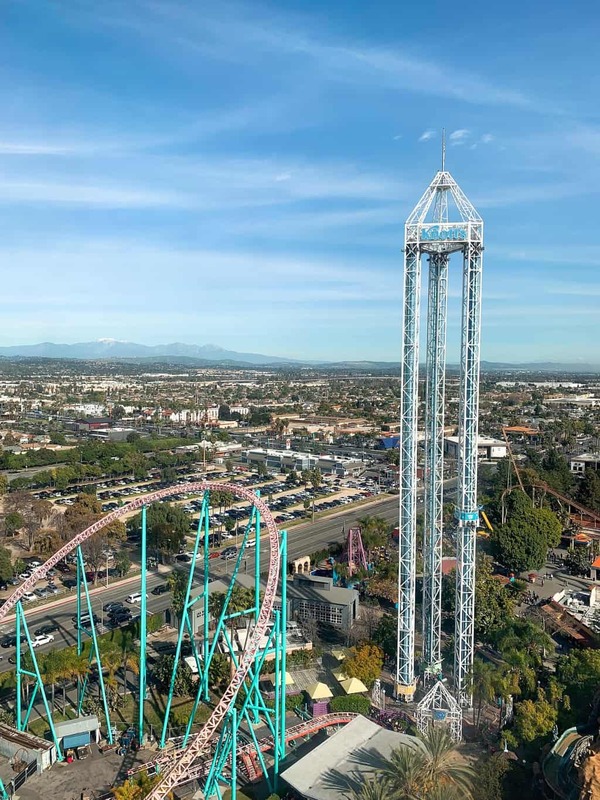 But now, Knott’s has raised the bar! 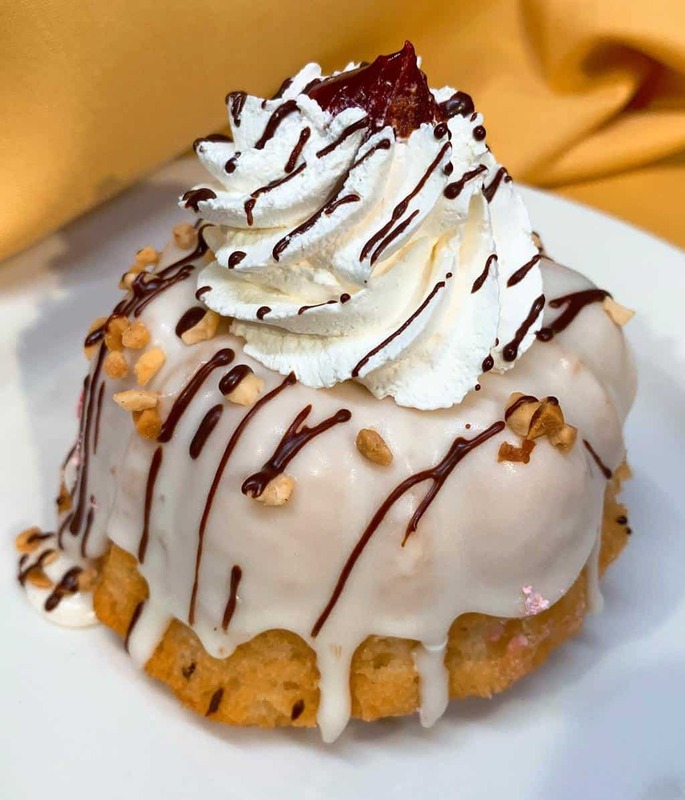 Between the Jelly Jelly Bean Funnel Cake, the White Chocolate Peanut Butter Raspberry Bundt Cake and the Frosted Snoopy Cookies, there’s a special treat for every taste bud. 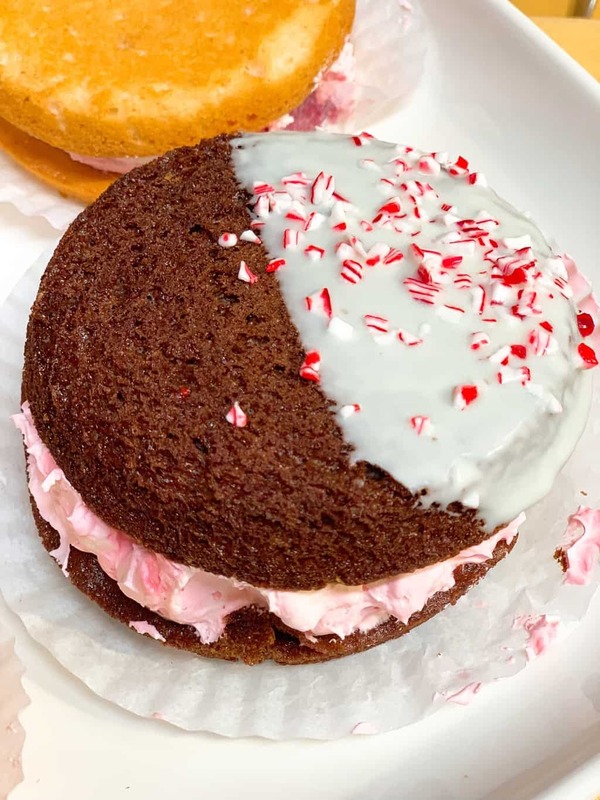 At Ghost Town Bakery and Grand Bakery, you can enjoy other assorted baked goods like Charlie Brownies and Peppermint Patty Moon. 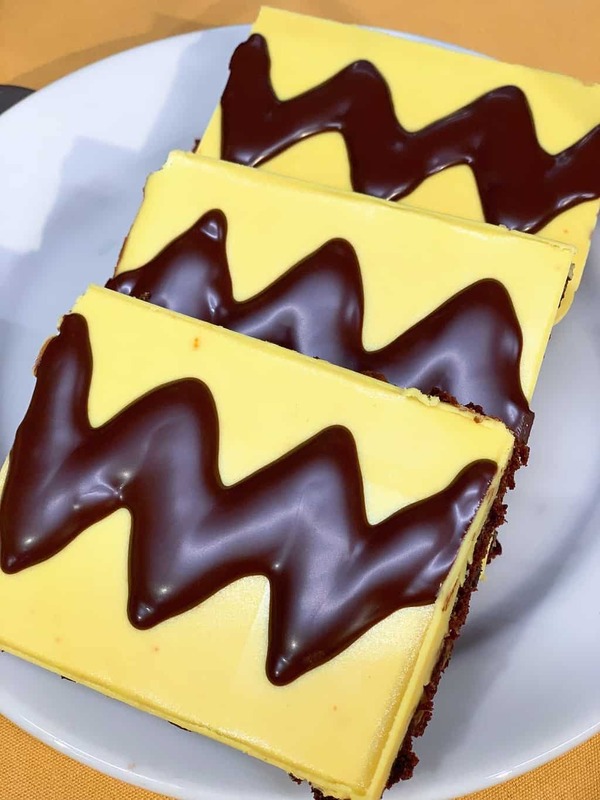 The Charlie Brownies are so moist that you might to order a glass of milk to go along with them! 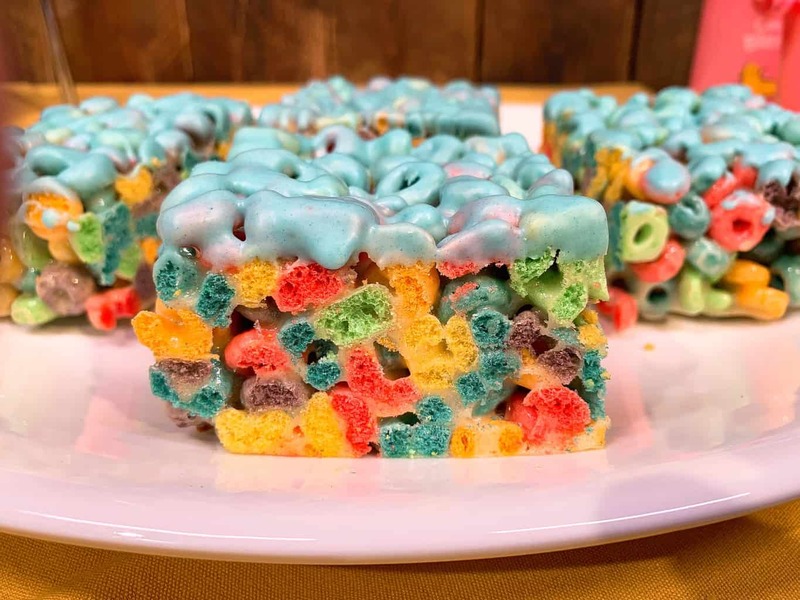 A personal favorite of mine are the Fruit Loop Bars available at Grizzley Creek Lodge. If you love rice crispy treats, then this is right up your alley. 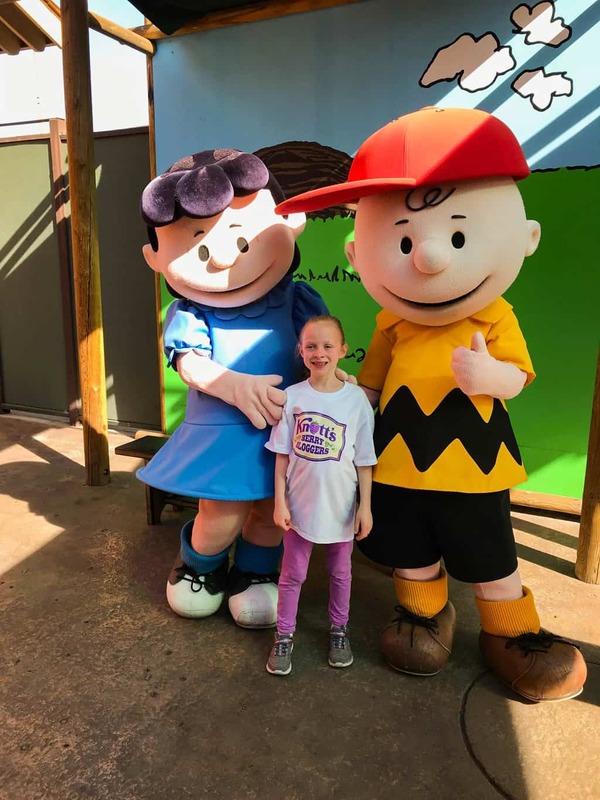 For all you die hard PEANUTS fans, you’ll enjoy strolling through the park and interacting with many of the PEANUTS Gang characters including Charlie Brown, Lucy, Franklin, Peppermint Patty, Linus, Sally and Schroeder. 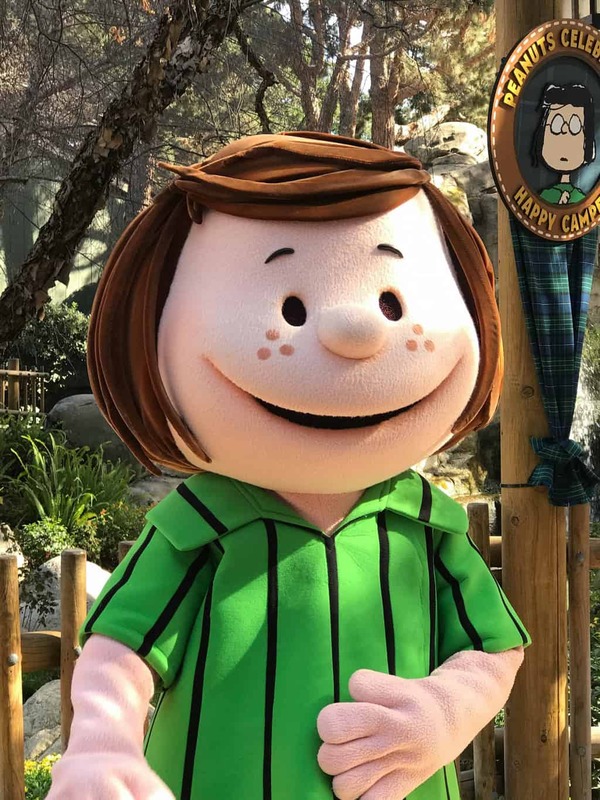 I hope to see Peppermint Patty return for a special appearance at Knott’s Merry Farm. She would be a “sweet” addition to the annual holiday celebration. Oh, and don’t forget to stop by Camp Snoopy to take a photo with the beagle himself, Snoopy! 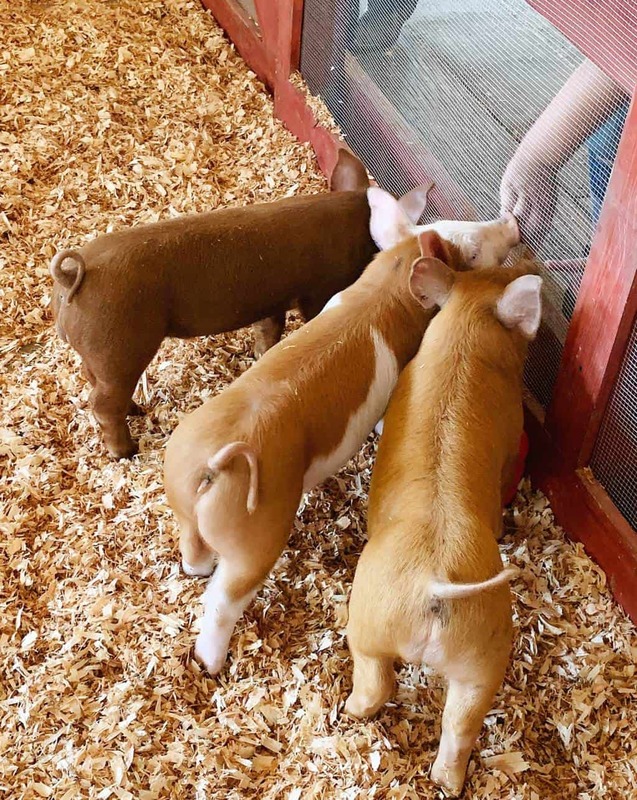 For a limited time only during Knott’s PEANUTS Celebration, you can meet Pigpen, the newest member of the PEANUTS Gang, and his little piggies, in the Livery Stable. 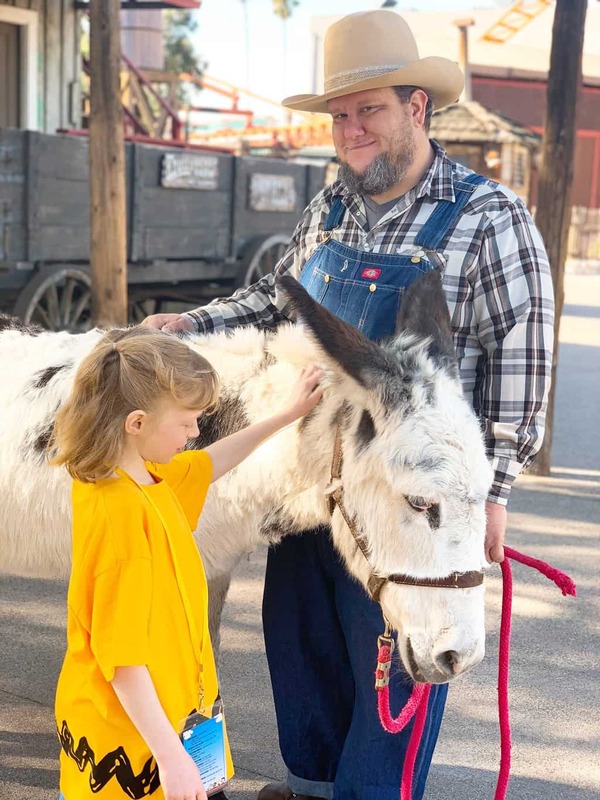 As long as you don’t mind the mess, you can snap a selfie with Pigpen, meet and pet the horses of Calico and chat with Brutus the burro’s handler. PEANUTS fans will once again enjoy watching humerous and entertaining shows inspired by the comic strip series. 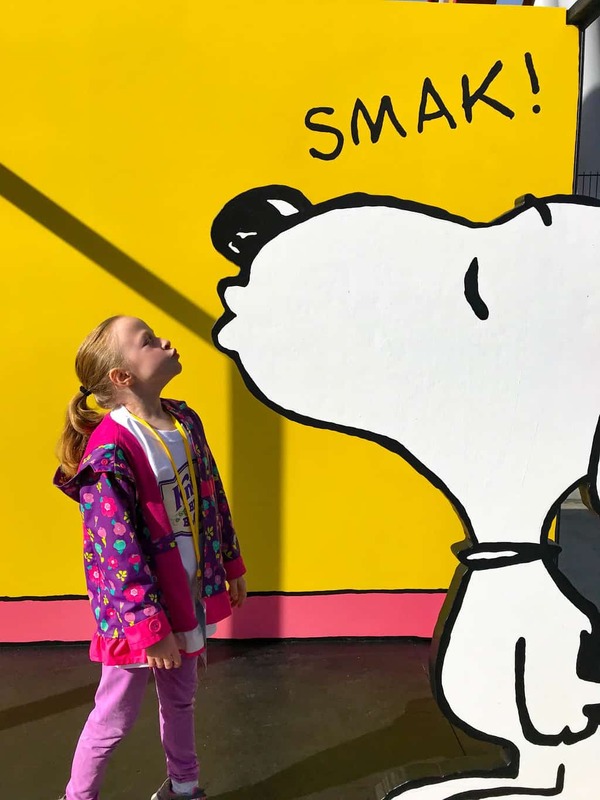 This year, in Camp Snoopy Theater, Knott’s debuted the all-new Space Beagle show featuring Charlie Brown and Lucy, as the world’s famous beagle becomes the first dog on the moon. It’s out of this world fun for the whole family! 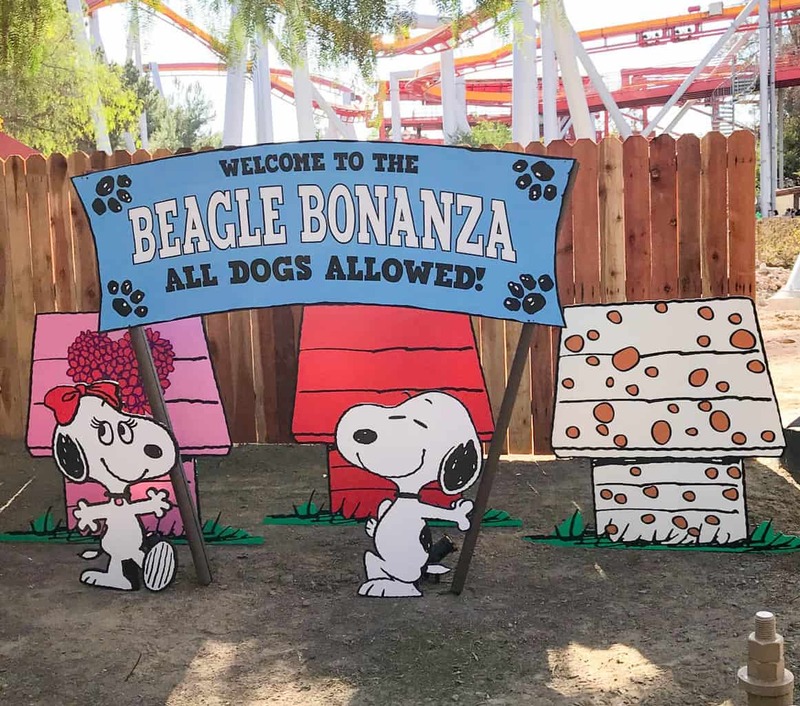 Also in Camp Snoopy, the Grand Sierra Railroad invites kids to celebrate with the PEANUTS Gang as they head to the Beagle Bonanza in this fun ride overlay. 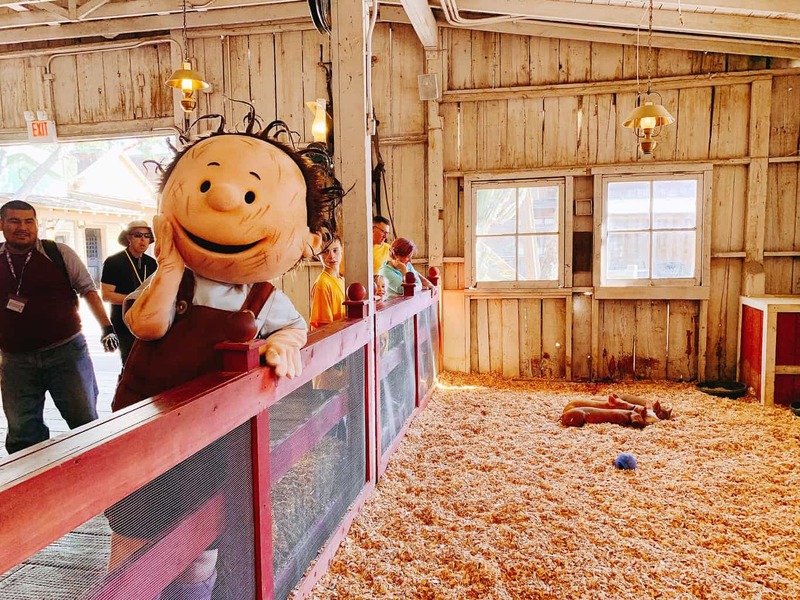 The PEANUTS inspired festivities continues at the Bird Cage Theatre as the park offers an experience that gives both the young and the young at heart a lesson on how to draw their favorite PEANUTS characters. 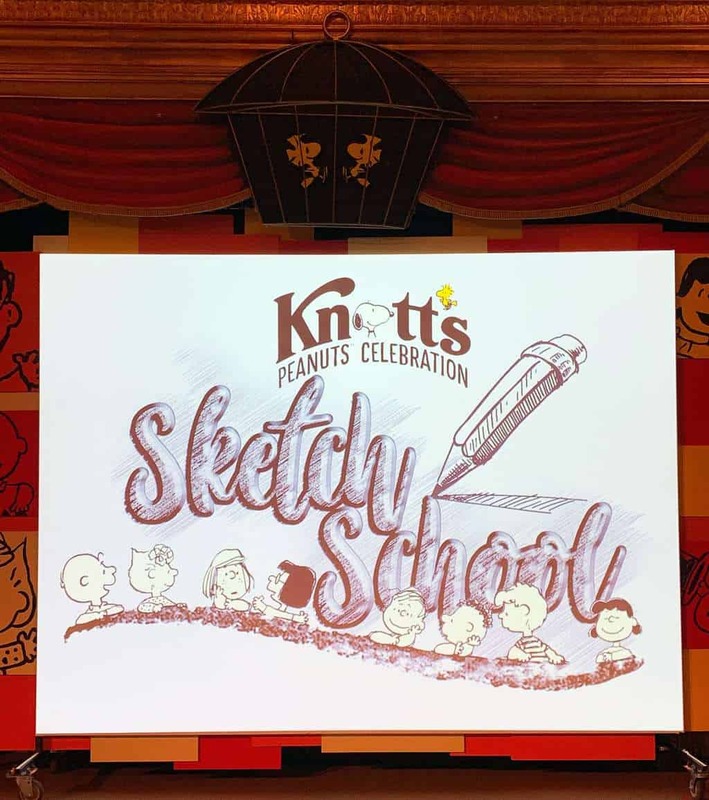 The PEANUTS Sketch School features Knott’s resident art teacher who provides step by step instructions on how to draw the perfect PEANUTS masterpiece. Every hour a new character is presented. My kids learned how to personally draw Charlie Brown. 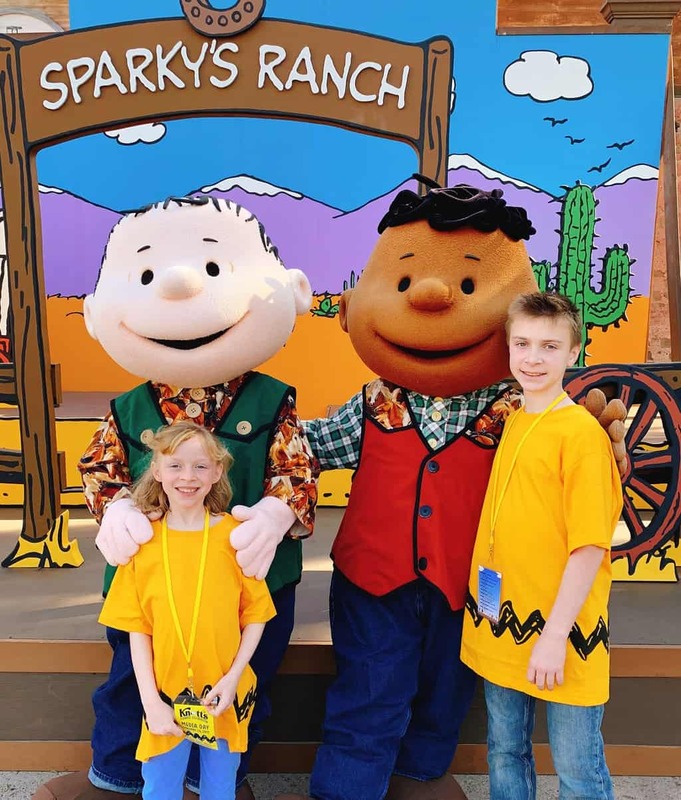 In Calico Park, Franklin and Linus are on a Western escapade as they transform into cowboys in the PEANUTS Cowboy Jamboree. The boys are looking to challenge guests with some of the rootiniest, tootinest games in Calico. Afterwards, you can snap a photo with the popular duo! 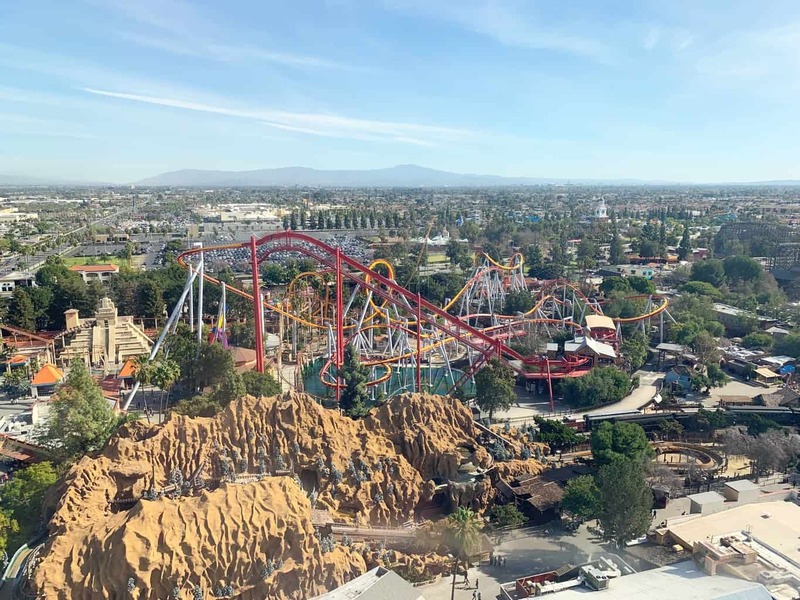 For 2019, Knott’s PEANUTS Celebration has added a brand new overlay to one of the park’s tallest attractions. Sky Cabin is adorned with a festive overlay as an homage to the smallest member of the PEANUTS Gang, by transforming into Woodstock’s Bird’s-Eye View. Guests are seated on Woodstock’s nest as the loveable yellow bird takes you on a breathtaking journey above the entire PEANUTS Celebration. The views of the park from high above are breathtaking! The celebration continues at the Calico Mine Stage where the PEANUTS characters have two musical surprises for guests. 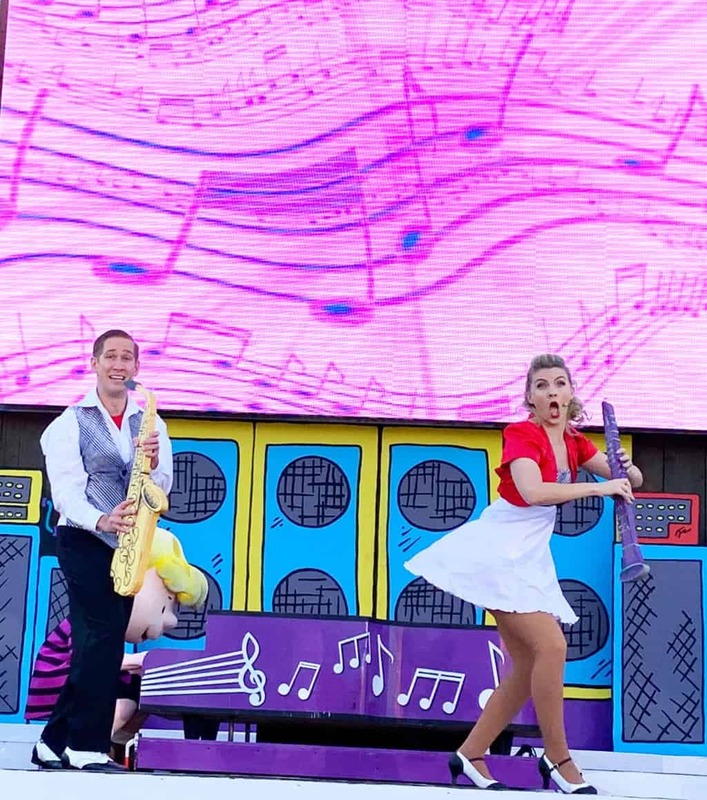 During the day, Sally and Schroder host a retrospect of music in The Music Goes Round and Round and invite the audience to dance along in the aisles. At nighttime, the stage transforms into a musical extravaganza as the park hosts Woodstock’s Musical Festival. 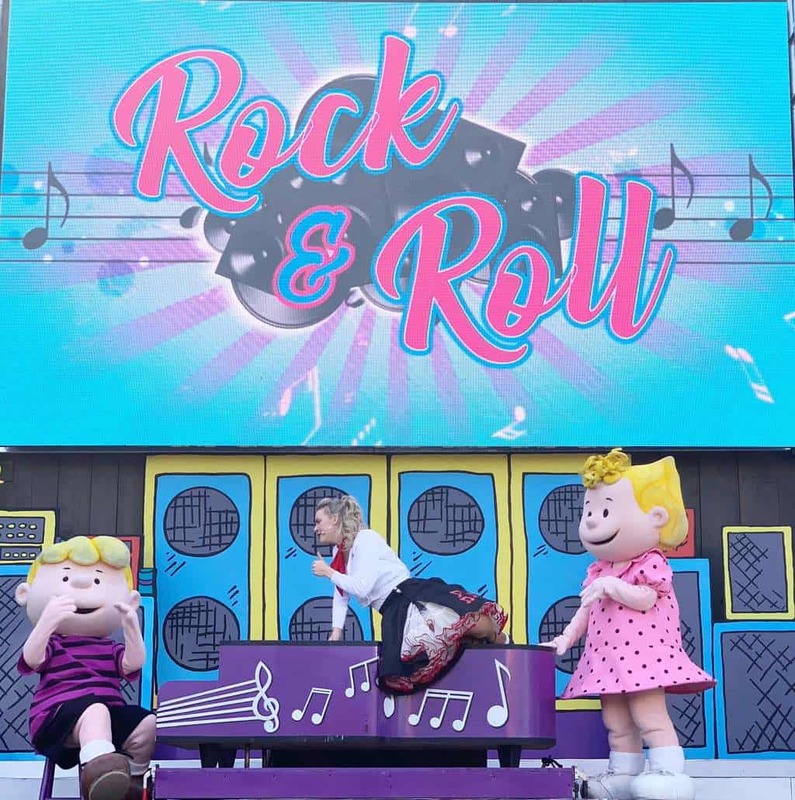 The musical event features the Peanuts Gang joined by the family-friendly indie band The Jelly of the Month Club, performing a high energy rock concert for the whole family. 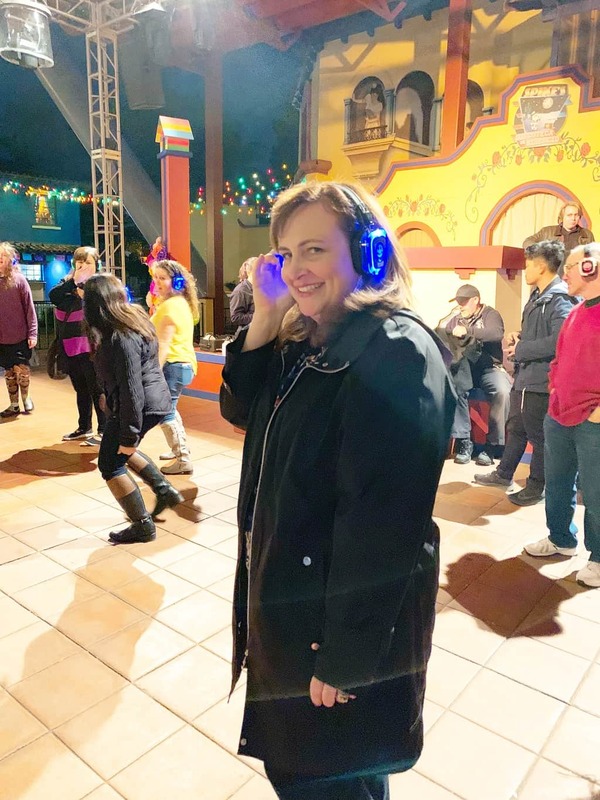 While visiting Fiesta Village, I uncovered a new experience that is guaranteed to make everyone dance with the park’s first ever, Discoteca de Silencio or also known as a silent disco. The fun began as I strapped on a set of headphones and enjoyed some upbeat tunes. During the PEANUTS Celebration, the party is hosted by Snoopy’s brother Spike. 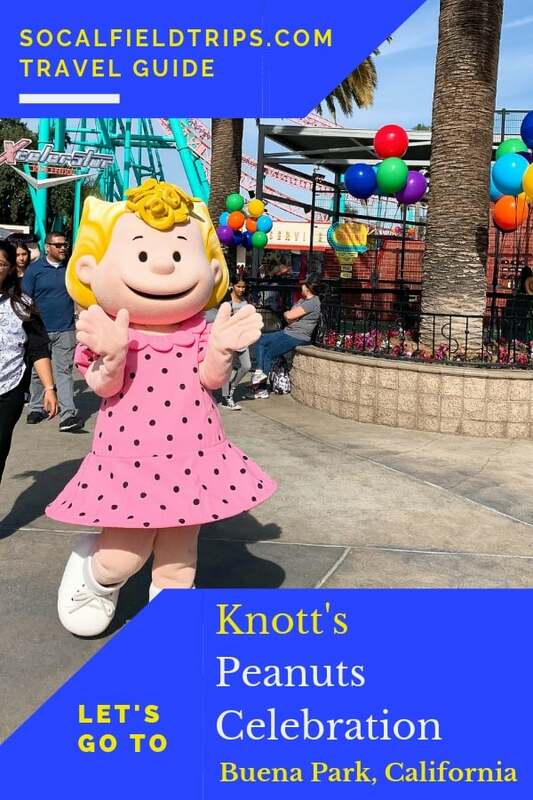 The Knott’s PEANUTS Celebration takes place ever weekend beginning January 26 – March 10, 2019, plus February 11, 15 and 18. The cost to attend is included in the price of admission. 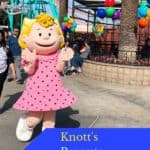 You can get discount tickets to Knott’s PEANUTS Celebration on Goldstar.com starting at only $37.50 (plus a small service fee). Now, that’s a nice deal! Wow – I want to go there just for the photo opps! 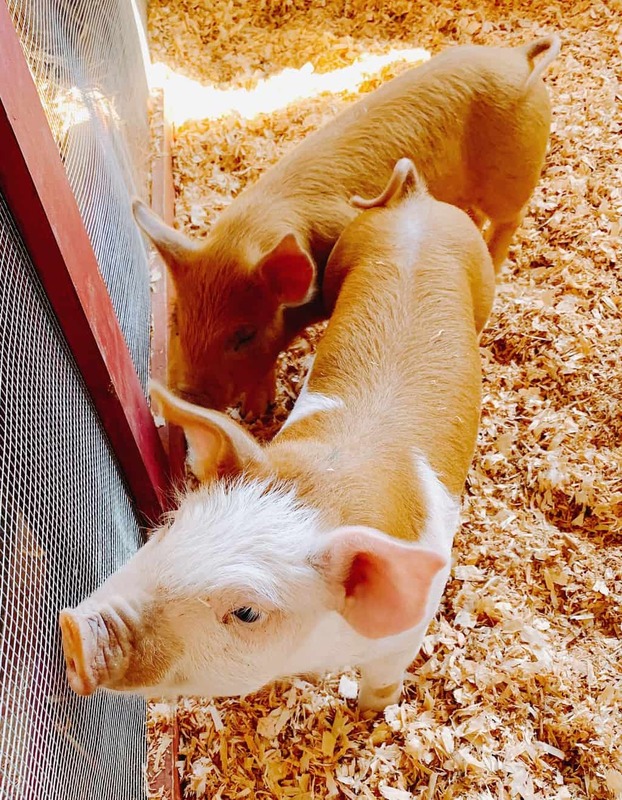 Well, and the pigs. I find them adorable. <3 Glad you enjoyed your time there! I have love Peanuts characters ever since I was young. I love Snoopy! I want to have photo opps too at those murals. Seems fun! What an awesome guide and what cute photos! I would love to go to Knotts Peanuts Celebration! I love Snoopy and the gang! Those comic strip photos are hilarious! I love them! Especially with the football and Charlie Brown – such a classic. This looks like such fun! I love the little pigs! A friend of mine has a pet pig. So cute! I never really thought about going to Buena Park California before, it looks beautiful though. May need to add it to my want to do list. My kids will love this for sure. That looks like a really fun place! I have always enjoyed the Peanuts. Oooh! I want to take my kids so bad. It would be so much fun!! So fun! It looks like the whole event was a blast! 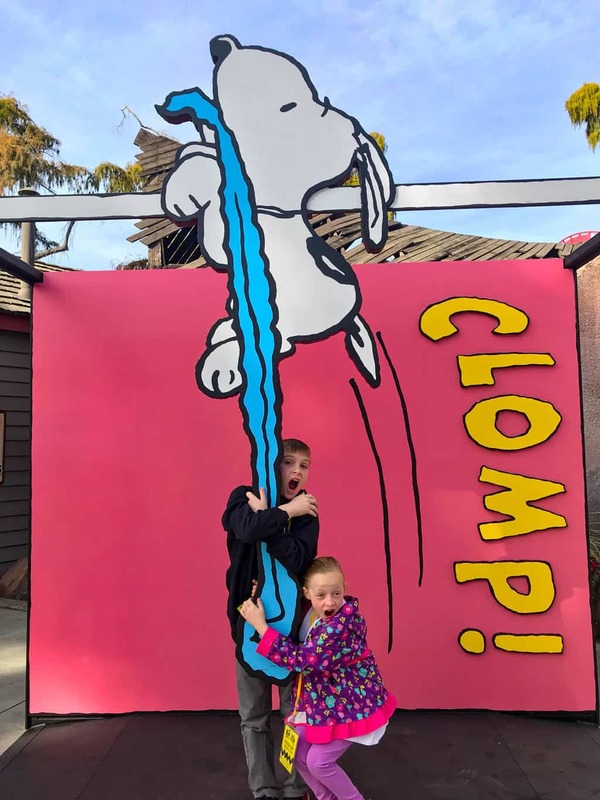 My family loves Knott’s Berry Farm for all of it’s seasons of fun. Can’t wait to check out this new addition to the entertainment line-up.